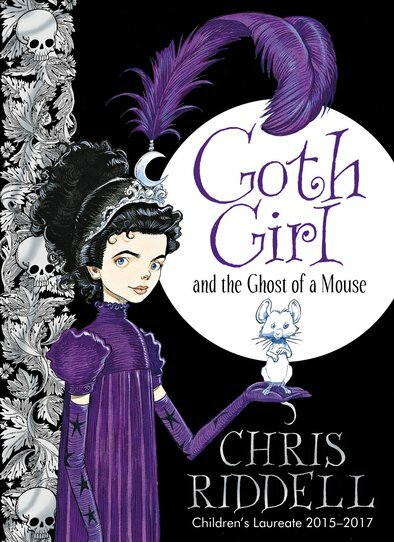 Deliciously dark: sheer Chris Riddell genius. A steampunk heroine to die for. (Love the hair.) This hardback is a work of beauty, with silver foil skulls edging the cover and incredibly ornate drawings on every page. Even cooler than Ada Goth’s fabulous costume of purple feathers and punky boots. Enter the overgrown gardens and spooky corridors of Lord Goth’s forbidding mansion, Ghastly-Gorm Hall. Can Ada Goth – the family heiress – and one undead mouse called Ishmael solve the sinister mystery of a wicked gamekeeper?